Take a quick look at your website’s URL. Do you see a little green lock and the word “Secure” next to it? If you do, congratulations – you’re on the right side of technology history. But if you don’t see that lock, you need to be aware of Google’s latest mandatory change. Starting in July 2018, Google will begin marking all sites that aren’t using HTTPS as “Not Secure.” Additionally, you could start to be penalized in organic rankings. So what do you need to do? For many years, HTTP – or HyperText Transfer Protocol – was the default way information was transmitted across the web. HTTP allows computers to talk to each other and share information in a standardized way. Any time you enter an address in your web browser, click on a link, or submit your password to a website, you’re actually making an HTTP request to another computer somewhere in the world. The content of your request, and the response you get from the other computer, determines what comes up on your screen. The problem with this system is that it wasn’t built with the modern Internet in mind. Today, people do all kind of sensitive and personal things online. This includes transferring money, writing confidential emails, managing medical information and more. But HTTP doesn’t keep any of this information private. It’s possible to extract sensitive data like passwords, credit card details, and other personal info when you communicate with a website over HTTP. This is the problem HTTPS solves. HTTPS – HyperText Transfer Protocol Secure – uses encryption to scramble information transmitted between computers over the Internet. When a website uses HTTPS, you can feel safe entering your password, financial details, or other personal information. Everything is protected at all points between your computer and the one you’re communicating with. 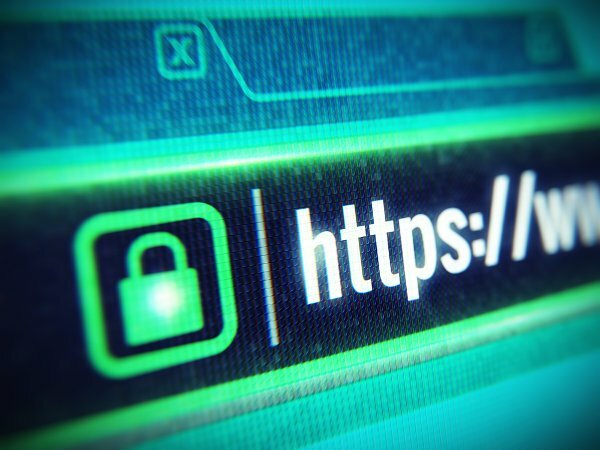 Google is pushing for more sites to use HTTPS to protect both standard users and websites. Additionally, HTTPS benefits you by allowing you to use new features on your website, like allowing users to take and send pictures directly or requesting a user’s location. How Can I Get HTTPS on My Website? To have your website marked as Secure, the first step is to purchase and install an SSL certificiate. SSL certificates are available from a wide range of vendors and authorities. However, finding a trustworthy one and installing it on your site can be complicated. You might not have much experience managing your website’s hosting and services. In this case we recommend reaching out to your webmaster or hosting provider for help. After you have the certificate, you’ll also need to redirect your old, non-HTTPS website to your new secure site. You can use 301 Redirects on your site to automatically send visitors to secure pages. Setting up 301 redirects isn’t too complicated, but it can be time-consuming, especially on larger sites. Again, a good webmaster can help you handle this task and ensure your site is set up correctly. Alternatively, you can work with a dedicated partner like RankMonsters. At our agency, we provide website hosting, SSL certificate setup, and website optimization packages for all types of businesses and organizations. This includes setting up HTTPS, making sure all your pages are redirected, and keeping your site up-to-date and optimized. We can help your site manage the transition from HTTP to HTTPS smoothly and professionally. Plus, we’re always happy to answer questions and to help you get results. If you want to learn more about helping your website perform better, contact RankMonsters today at (405) 605-8218. Or, you can fill out our form to request more information. We’re looking forward to helping you succeed online, so contact us today!